I'm loving those Luna moths, especially after seeing a real live Luna moth on my rafting trip back in August. Oh, my! 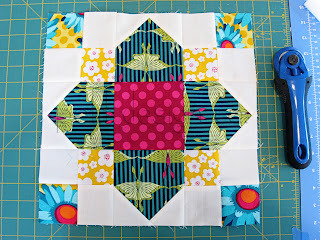 That August block is just so beautiful! The colors and the way you laid out the fabric is really stunning. te quedaron super lindos! mis favoritos son los primeros dos, es un patrón clásico pero luce super moderno!! 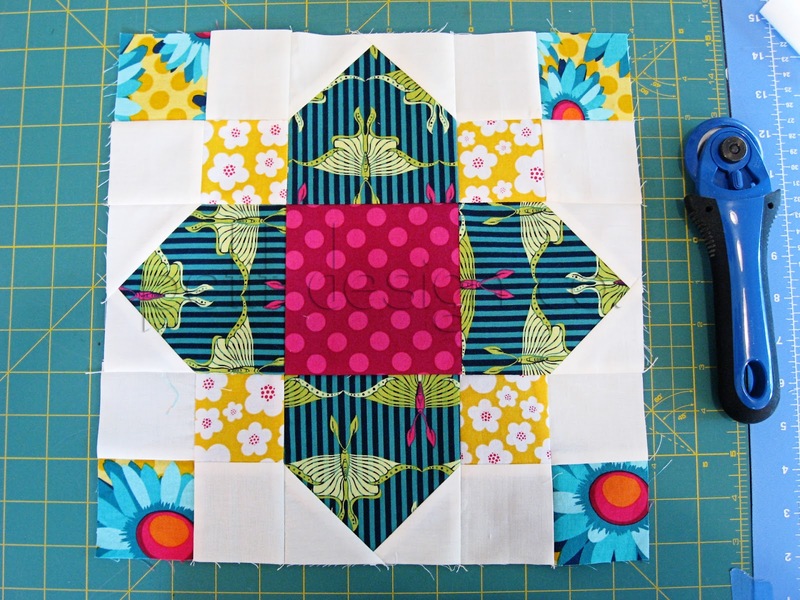 Your quatrafoil block is absolutely stunning! Love your fabric combinations, they make the design so appealing! Great job!